Li’l Gaffney, SC, my home town, has unexpectedly found itself in the thick of the Republican primaries. Opponents of Mitt Romney are focusing on the closure of a photo scrapbook factory in 1992. It closed with 150 jobs lost after being acquired by Bain Capital, the private equity firm headed by Romney. But according to the New York Times, most people in Gaffney hardly remember the plant and are rather embarrassed by all the attention it has drawn. Here’s a link to the Times article, and here’s their slideshow of Gaffney. 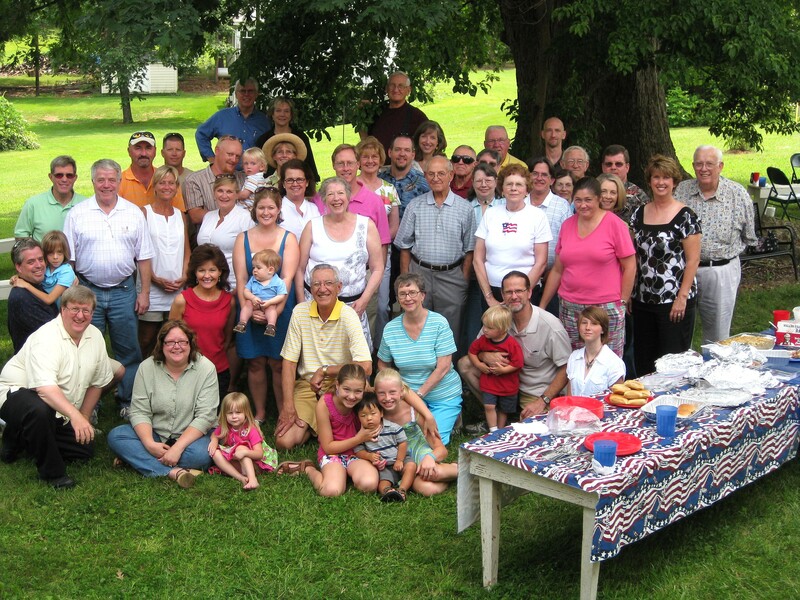 I haven’t lived in Gaffney for many years and since my parents are no longer alive, I only get back occasionally for Vassy family reunions and Gaffney High School reunions. But I certainly know Henry Jolly and Cody Sossamon, who are in the slideshow, and I keep up with some old Gaffney pals via Facebook. The photo is of the Peachoid, the world’s largest water tower in the shape of a peach, and a landmark to anyone traveling along I-85 in South Carolina. I took it on a GHS class reunion trip. An old high school friend of mine died last week after a battle with lung cancer. 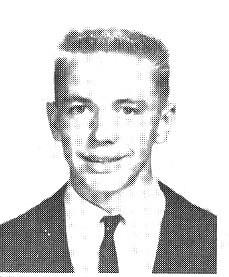 We had drifted apart after our college years and I hadn’t seen him in a long time, but prior to that Bill Wheeler was the unquestioned center of a group of friends that meant a great deal to me. We started out a couple of years apart, but I skipped my 10th grade and he took 5 years to graduate from Duke, so we ended up as classmates after all. The first of the Sabachis to go. We’ll really miss you, Bill. Update: there will be a memorial service for Bill Wheeler Saturday June 12th, 2010, at St. Andrew’s Episcopal Church, 2233 Woodbourne Ave, Louisville, KY 40205. June 14th, 2009 in Beaverdam community, Cherokee Co., South Carolina. I’m a Vassy on my mother’s side. This was the first time I had been to one in years. Visiting, singing old hymns, food — ham, chicken, barbecue, chicken salad, pound cake. . . .
U.S. 29 Journal: More on Gaffney. In recent years the growth of interest in nuclear power has led Duke to reopen the idea — of building the plant, that is, not remaking The Abyss — though not without some opposition. 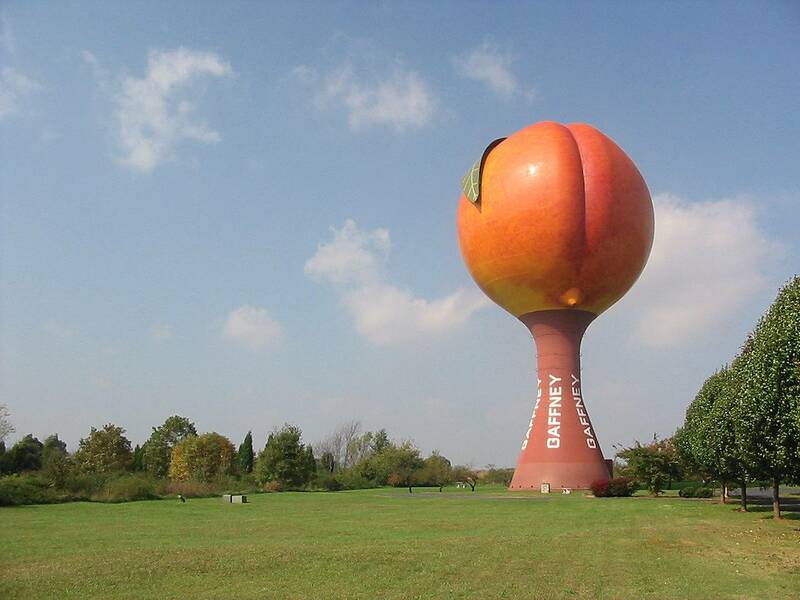 One of the great things about my home town of Gaffney, SC, is the Peachoid, a one-million gallon water tower in the shape of a peach. I took this picture at my high school reunion in 2004. It used to be that no one knew where Gaffney was. Now everyone traveling I-85 between Atlanta and Charlotte, NC (a very busy road) knows Gaffney. At one time Cherokee County produced more peaches than all of Georgia. It was shown in the Albert Brooks movie Lost in America; however, it was used to indicate their entering Georgia! Cretins. As part of my blogging experiment, I created a blog about US 29, which I-85 essentially follows. 29 runs right through Gaffney, and my two sisters still live within a few miles of it, in South Carolina and in Virginia. One day we may take a road trip and follow 29 from Pensacola to Baltimore. Then we’ll complete the blog.